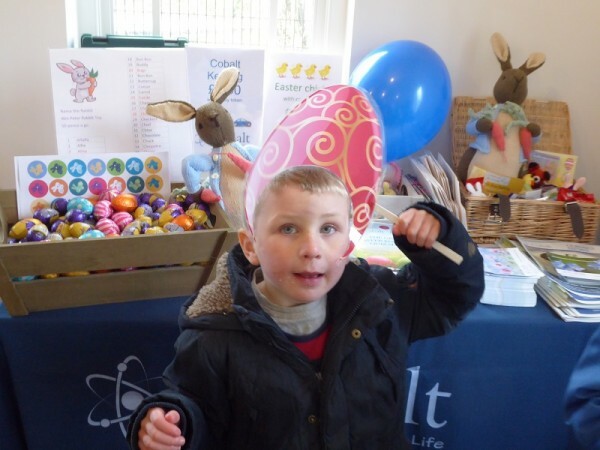 Local medical charity Cobalt and cancer charity Maggie’s are teaming up to hold The Great Easter Egg Trail on Saturday 20 April in Sandford Park, Cheltenham. Promising to be an egg-citing fun filled event for all ages the trail will take place from 1pm until 4pm in the recreational side of the park, across College Road and next to Sandford Parks Lido. Entry will be £2.50 per child and quiz sheets will be available on the day from the Lido and Sandford Parks café. The trail will be a great way for families to explore the park. Children will be able to follow the clues to collect a chocolatey prize at the end. There will be spot prizes throughout the day and a visit from the Easter Bunny. Refreshments will be available in the Sandford Parks café. Enjoy a 50% discount entry to the Lido for up to a family of four (two adults and two children) on the day for all those who complete the quiz! Bring your quiz sheets to gain entry. Kirsty Bradbury, Fundraising Engagement Officer, Cobalt said ‘We’re very excited about running this event again. It’s a great family day out and good fun for all ages. Whatever the weather just wrap up warm. A stroll around the park will be just the ticket to work off all that excess chocolate and taking part will help support the work our charities do’. Cobalt, based in Cheltenham provides diagnostic imaging for over 65,000 people a year, including patients affected by cancer and dementia. The scans are often a vital first step enabling doctors to make an initial diagnosis and treatment plan. Imaging can also be used in some cases after diagnosis to monitor the effectiveness of treatments. Maggie’s have 20 centres at major NHS cancer hospitals in the UK and abroad, one of which is based in College Road, Cheltenham. The centres provide free practical, emotional and social support to people with cancer and their family and friends. Cheltenham based medical charity leading the way in diagnostic imaging and helping to change the face of modern medicine.